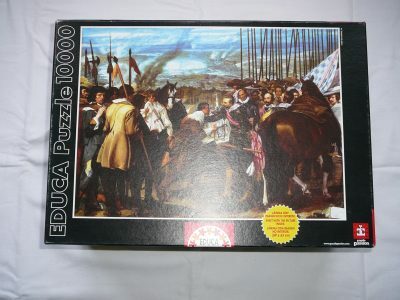 This puzzle is very difficult to find, as most of the fine arts large puzzles by Milton Bradley. The title is Paris, The Flower Market in 1895 by the French artist François-Marie Firmin-Girard. MB published this puzzle in 1992. The puzzle is NEW, with its original FACTORY SEAL. The box has a large tear in the back, as you can see in the pictures, although the seal remains in place. 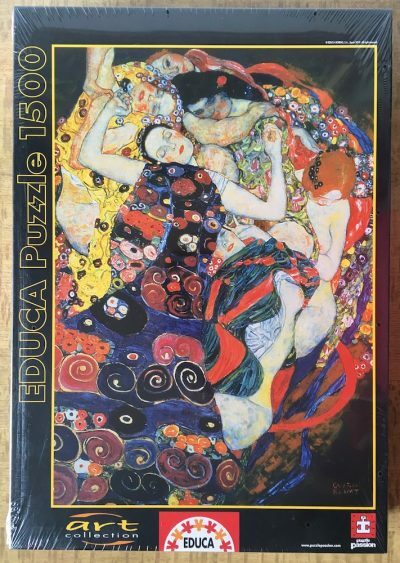 In 1994 MB published a 1500 pieces version of this puzzle. Puzzle size: 157.5 x 107 cm, 62″ x 41 1/8″. Box size: 42 x 28.5 x 10 cm.